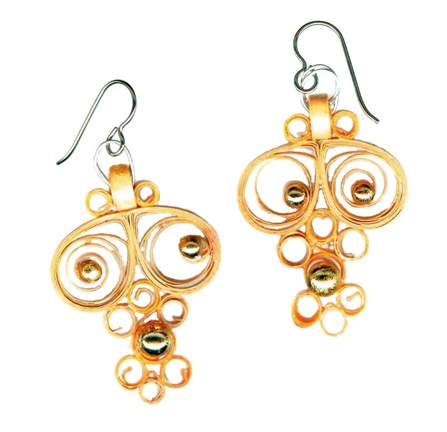 Lovely tan filigree earrings with gold bead accents. Created by the art of paper quilling, they are light-weight and gentle on even the tenderest ears. 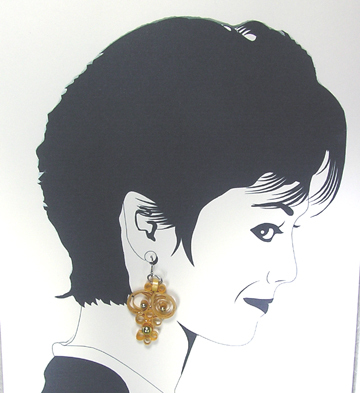 Beautifully crafted earrings have a protective polyurethane coat which adds sturdiness. They are water resistant, but not waterproof.